Over the last two years, the minimalist trend seems to be everywhere. Naturally, I fell in love. The monochrome clothes, home décor pins on Pinterest and let’s not forget those pretty, well-curated Instagram feeds that make you want to delete all your photos off your feed and only wear black tee-shirts. I have to admit, I did go through a phase for a few days where I was all into the monochrome buzz and I took all the typical minimal photos and tried to only wear grey and pack all the most colourful things in my room away. Sometimes I still have ‘minimalist’ days. But, it got too hard as a lot of my room décor has colour in it and so do my clothes. Thus, I gave up on minimalism. Recently, a minimalism ‘cheat-sheet’ caught my eye on Pinterest. 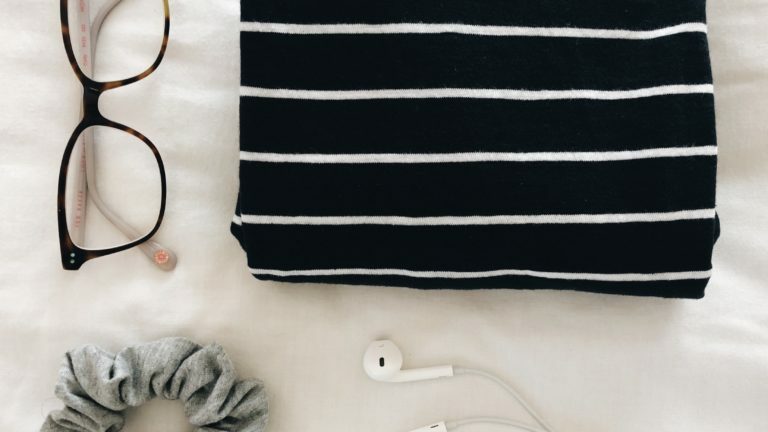 When I started reading up a bit about minimalism as a lifestyle (and not just a clothing and décor style), I was surprised to find that I already do many things that ‘minimalists’ live by. That’s when it hit me. It minimalism really a style or it is a lifestyle? The answer (to me, at least) is the latter. I decided to share some insight into minimalism through my eyes. Here it goes! This is really important. This year, I’ve found that I’ve matured quite a bit when it comes to my possessions and clothing. I’ve had this urge to clean, clear and ‘detox’ my possessions and my living space. Since the beginning of the year, I’ve basically worked through most of the spaces in my room, and decided what to toss, what to keep and what to donate. What also really helps is if you allow yourself to have one junk drawer that you keep all the things you are unsure about. The only thing you mustn’t do is just leave it! You MUST sort through that drawer at the end, and tidy it up. It’s a surprisingly fulfilling process and it will give you new insight on your stuff. Don’t feel guilty if you bought something you’ve never used. Everyone’s done it. But by keeping it, its not doing anyone any good. You may as well donate it to someone who will put it to good use. I’ve also read in a few places that physical clutter can contribute to mental stress. Try to keep your sleeping and working spaces especially tidy and display the items that make you happy and spark joy. This will make your space feel like your own and it’ll be calming too. (A good book to read to inspire some cleaning is The Life-Changing Magic of Tidying Up by Marie Kondo. Although I don’t agree fully with everything in the book, it’s a good read) . No, I don’t mean getting rid of friends, so don’t worry. I’m talking social media here. Do you sometimes find that you follow so many accounts on Instagram that you hardly see the things you actually want to see and it takes forever to get through your feed? We’re all in that boat with you. Do an audit of who you follow every so often and unfollow accounts that don’t excite you. Its alright, you don’t have to feel guilty! Instagram isn’t real life. Its also vital to your own inspiration that you don’t see the only a certain kind of thing over and over, as this can stagnate your own creativity in the long run. I make this a habit and find it fun to find new things that inspire me. Also, unsubscribe to all those email lists you joined spontaneously. I went through a stage where I subscribed to EVERY email list I came across just so I had pretty-looking emails in my mailbox (What was I thinking?!). I went on what I fondly refer to as an ‘unfollowing spree’. I am now only subscribed to a handful of blogs and newsletters that I really enjoy reading and find inspiring. Another thing to try is have a day of the week when you have a ‘social media detox’. You don’t engage in any form of social media for the whole day – its refreshing. You’ll be surprised how free you’ll feel and its good for those creative juices to have only your own ideas in your head for a day and not have them bombarded by all the others we see online. (Its something I’m definitely looking forward to doing next year – its not possible for me to do this year because of my daily project). This is much easier said than done, I know. We have to be mentally conscious when we shop because we’ve gotten so used to buying things because they’re pretty and on sale. We eventually end up with a closet full of clothes we hardly wear. I experienced this last summer. I found so many tops I loved and bought that I only realised how much I actually had when I did an audit of what was in my cupboard. Because I’m still at school, it means that I only wear my clothes in the holidays and on weekends – I wear uniform the rest of the week. I ended up wearing each of my tops once or twice the whole summer. I forced myself not to buy any new things for the rest of the summer and wear all the clothing in my cupboard. The thing that first set the ball in motion in my head about experience over material was a concept relating to this that I read about in a magazine. The way I understand, it goes as such. For a month, you spend the same of money that you normally would, but you don’t have anything to show it at the end of the month. (Naturally, food wouldn’t count because, well, its food and it wouldn’t be there at the end of the month anyways, but you get my point). It fascinates me and I always think about how I’d love to do something like this when I earn my own income some day. Instead of spending your money on buying stuff, you spend it on doing stuff instead. Imagine how much you could do if you knew you weren’t going to be buying anything except the necessities for a month! I definitely know what I’d do. You don’t have to go all out, but maybe do something where every time you are tempted to buy something you really love but don’t need, you put the money aside to do something fun and enjoyable instead. It’s a good incentive to stop buying excess too. The phrase itself says it all. Instead of buying many things that are of unsatisfactory quality, buy fewer things that are good quality and well-made. It applies to many aspects of life, too. I’ve been trying my hardest to implement this and its been making me really appreciate the things I own. I really hope you enjoyed reading about my take on minimalism and that it inspires you to down-size your possessions. You don’t have to do everything in one go, but you’ll find that once you start, you won’t stop!